Readers likely don’t really care about dying languages. Yes, language-loss is sad, but only in a really abstract way. Journalists have no way of making people care about the death of a thing that by definition they can’t understand. They invoke abstract “loss of culture,” which the average reader can’t really grasp. By analogy: the ghost frog is nearly extinct. They live in streams in South Africa. You have likely never heard of them. How do you feel now that you know? A little sad, probably, but you’ll get over it quickly. What will you do about it? Nothing, because you can’t do anything about it. Do you feel worse about the golden toad? It’s extinct already. How do you feel about the death of the Kore language in Northern Kenya? How about the nearly-extinct language, Abaga, from Papua New Guinea? Did I change your plans for today by mentioning them? I can’t imagine I did. You’re not alone. Many people don’t care about saving dying languages. Kris Broholm of Actual Fluency wrote this about letting languages die quietly, and his article was inspired by this one that claims that languages die because their speakers yearn for a better life. I recently had a great opportunity to talk to a Bashkir woman. She speaks it fluently, her parents speak it, but her kids do not. Her husband is Russian. 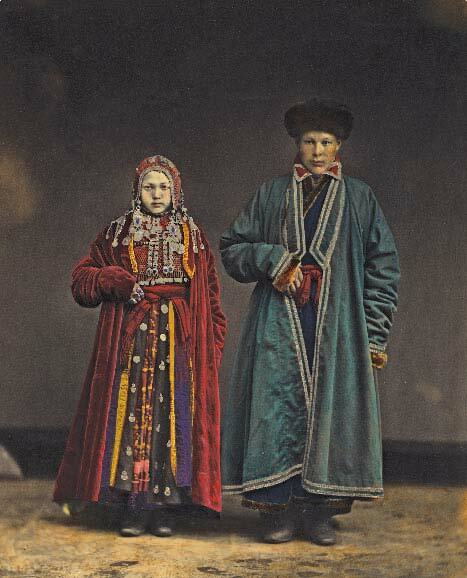 Even when she sends her kids to her parents’ Bashkir village, they speak Russian, not Bashkir. She would like them to speak Bashkir, but she is not sentimental. If they don’t learn it, so be it. Cultures assimilate. She respects me and my linguistic interests and abilities, but when I told her I’m studying Somali and Oromo, she was flummoxed. I ended up in the awkward position of defending Bashkir to her. The greatest evil is smugness. When people are smug, they cannot change and cannot learn. They only impose their view on others. Combating cultural smugness is the greatest benefit that language variety brings us. My argument is that as languages assimilate, so do certain cultural critiques. For example, Somalis do not buy life insurance. When someone dies, the community is expected to respond. Whereas Americans pay a private company, and trust that they will pay back when it’s time, Somalis trust their relatives, friends, and neighbors will help when help is needed. As Somalis become more assimilated to the US, they will lose their language as they will likely lose this trust of community. Our culture in Minnesota, however, needs that alternate point of view, where one trusts neighbors over companies. The less powerful possess an important view of power that the powerful must listen to. Arabs discuss American power at length—in Arabic. When Americans bother to learn Arabic, they will learn to see themselves in a new way, which will undermine the way they saw themselves and will benefit them. It will challenge smugness. Someone who clings to Bashkir or Navajo when surrounded by Russian or English, respectively, makes a statement about values. The language of money and material success does not suffice. They see success in a different way, where a successful person remains close to his parents and grandparents, who remain in the dialogue started by his ancestors generations before. They choose a dialogue that undermines the self-satisfied “success” of the majority. As we become more successful and powerful, we need more, stronger means to undermine our power. Our smugness, our self-righteousness will grow out of control otherwise. We must preserve language “habitat” and keep as many languages in our midst as possible as constant reminders that we don’t have all the answers. Learn a rare or minority language, even if only a little. Talk to a speaker of one of them. Ask them why they love their language. Do the work of assimilating to them rather than waiting for them to assimilate to you. How do you feel about endangered and minority languages? What do you do to challenge your self-righteousness? I’ve had a couple of conversations with elderly Gaels recently, both from Lewis originally but in Australia now. Seonag is full of memories of Gaelic pervading her life as a child, her parents, visits from the local minister, playing with friends and animals in Gaelic. When asked “A bheil Gaidhlig agaibh?” (Do you speak Gaelic?) her answer is, “Chan eil – is Gaidhlig a th’ unnam” (No – Gaelic is in me). To her, the language is deeper than just something she speaks, but she also recalls how she had to speak English at school, from the moment she started at the age of four without a word of it. Gaelic was frowned-upon – backward. The year after she graduated school, the option of doing Gaelic as a subject in Highers came in – but it could never be spoken in any other class. After going to university in Glasgow, she moved to Australia and eventually started teaching Gaelic to Australians who had lost the language. She speaks a minority dialect within a minority language, and when she teaches, she changes her dialect to a “more neutral” southern one. Her husband is Australian, and can understand Gaelic well enough and manage a conversation, but they never speak it at home – it’s easier just to speak English. Domhnall rang in while I was presenting a programme for Scottish Radio. I’m the only one of the half a dozen presenters with proficiency in the language, and none of the others use it except for “welcome” at the beginning and “goodbye” at the end. He was very excited about hearing me use Gaelic for good portions of the programme. “Cha do chuala mi a’ Ghaidhlig o chionn fhad’ – o chionn ‘s marbh mo mhathair” (I haven’t heard Gaelic in such a long time, since my mother died) and “tha mi an dochas gun cluinnidh mi moran Gaidhlig n uair a bhitheas tu ann” (I hope I’ll be hearing more Gaelic on the radio in future). Although pleased, he was reluctant to speak Gaelic with me for too long because he didn’t think he knew much. His parents were foster-parents when he was a child and the government paid them extra to not use Gaelic in the house, lest they taint the foster children. As the oldest, he remembers the language from before that, and remembers hearing it about the village, but none of his siblings can speak Gaelic. He has fond memories of hearing the language from his mother, but he’s the last in his family who can speak it. Quickly followed by, “It’s a dead language”, “There are too many dialects – you won’t be able to talk to anyone”, “It’s not a real language”, “It’s useless – there’s no point to it”, and so on and so forth. Now that I’m more proficient and speaking Gaelic isn’t so obviously a decision (bear in mind that it’s a language with a lot of native partial-speakers, so not being fluent doesn’t preclude having spoken it from childhood), the reactions are different, more like they are above, sort of pleased that someone young speaks the language (very rare outside Scotland). Plus a lot of, “But how? But why?” The older native demographic have a very hard time understanding why anyone would learn a language they were conditioned in their childhood to believe was backwards and dying… even if it’s so deeply a part of them and they love it for the memories in it. I imagine that’s probably a problem with a lot of minority languages.